Link to "How To" Video. How to make your white label wifi marketing dashboard even more secure. While the standard wifi marketing dashboard setup is plenty secure. 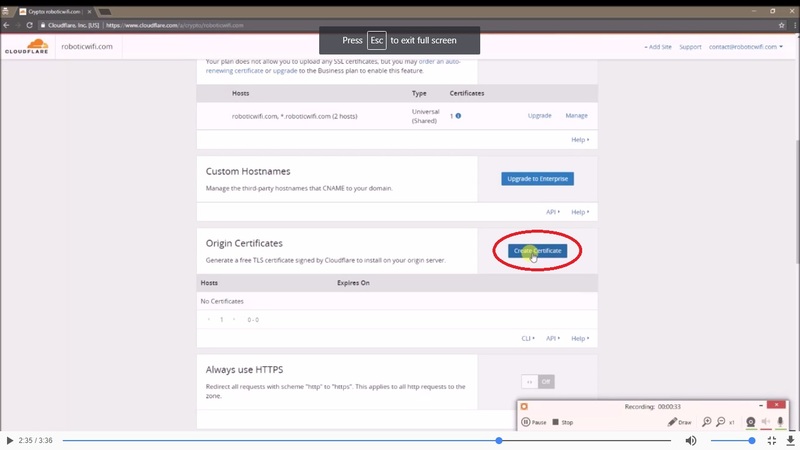 If you want to take an extra step with an added SSL certificate. Here is how you can do this. The Gazella site has a high security "Green Bar" SSL, but when you create your white label wifi marketing account. Your website domain is likely not properly configured with SSL certificate. If you see something like this "Not Secure" tab on your white label wifi marketing account. Follow along on how to update with a free Cloudflare account to get your white label wifi marketing web domain set up with an SSL certificate. Go to https://www.cloudflare.com and register for a free account by clicking on 'Sign up' on the top right-hand corner. You will need a working email id for this. Enter the address of your website in the text box under 'Add a website' and click on 'Scan DNS records' button. Wait a few minutes for the scan to be completed and then click on the 'continue' button. You will be taken to another page that displays all the hosting details of your website. You do not have to make any changes here. Simply click on the 'continue' button again. Now you will be presented with three choices. By default, the paid plan will be chosen. Select the free plan. You do not need to purchase anything from Cloudflare. This page will list the new nameservers that you have to add to your website. It has been highlighted in the image here. Changing the nameservers on your website will vary with the hosting service you use, but is fairly simple to figure out. Once you have changed the nameservers on your website, click on the 'Next' button. 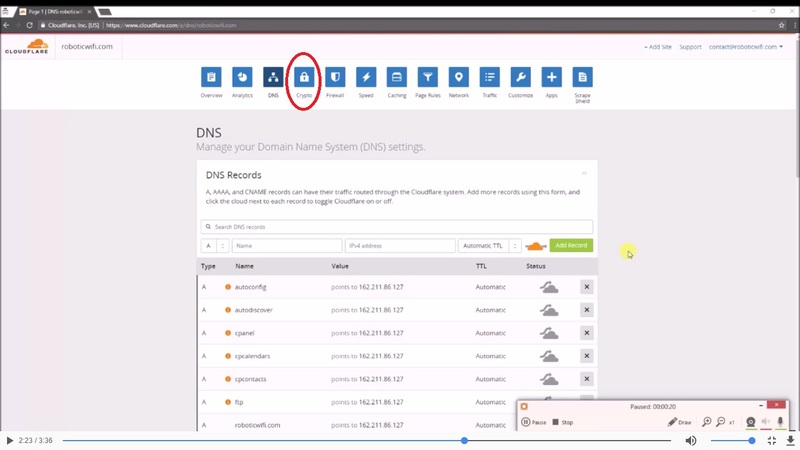 Login to you cloudflare account and it will display whether the nameservers have been activated or not. Sometimes it might take a few minutes. You can keep checking by pressing the 'Recheck nameservers' button. Once you see the status as active, click on the DNS icon at the top. On the page that opens up, ensure that it looks like the image below. Hover over the cloud icon on the line that says 'sys'. Ensure that it is selected as 'DNS and HTTP proxy' as shown here. 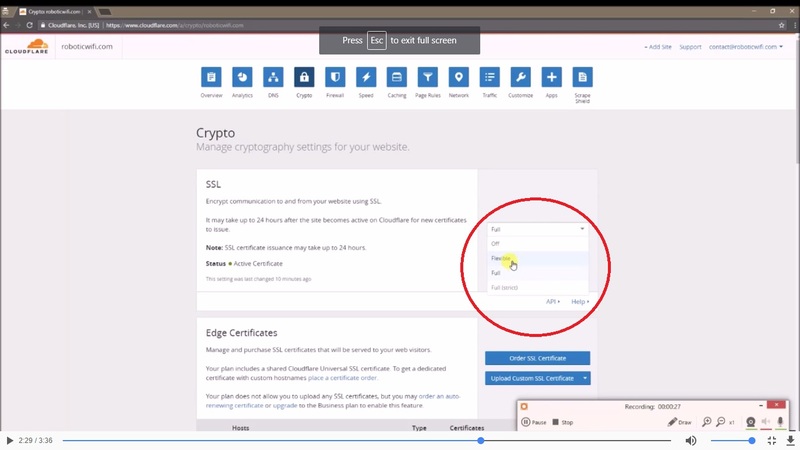 Click on the 'crypto' icon at the top. A menu will be present on the right-hand side and 'Full' will be selected by default. Change that to 'Flexible'. 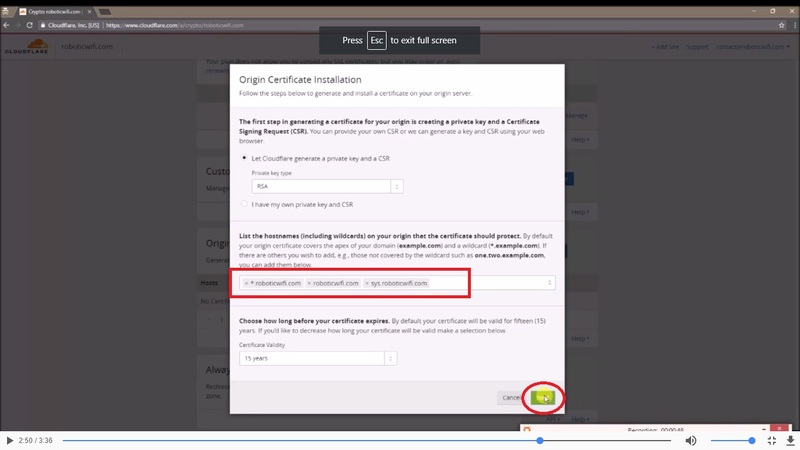 Scroll down and click on the button that says 'Create Certificate'. Wait for some time and open your web page and it should be secure now.